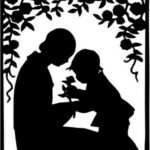 Mother’s Day comes at a busy time of year. The kids are finishing up the school year and there are all of those “special” events. The snow is gone and the garden needs some back-breaking work. Or, maybe you feel a need to do some spring cleaning before the hot summer weather arrives. All that means, Mother’s Day can get overlooked. Well, not this year! We’ve done all your research. All you have to do is implement whichever plan you think will please “Mom” the most. If the Mom in your life enjoys being treated like a queen (and what Mom doesn’t), book a special Mother’s Day brunch for your whole crew. For a really wonderful dining experience, head to The Perfect Wife in Manchester, Vermont. Chef/Owner Amy Chamberlain includes dishes as diverse as Indian Butter Chicken and Marinated Seafood Salad. Not that daring? You’ll also find brunch favorites like omelets, fresh fruit, and more. Call to reserve your table before it’s too late. For a great three-course meal coupled with the chance to do some good for the community, consider Bistro Henry’s in Manchester. For over 10 years, the restaurant has used the Mother’s Day Brunch to support the local chapter of Habitat for Humanity. Fairly new to Manchester, but quickly gaining a top-notch reputation, is the Copper Grouse at the boutique Kimpton Taconic Hotel. 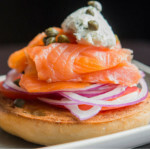 The brunch menu offers all the usual brunch favorites from pancakes to bagels to eggs. However, that’s where the “usual” ends. The restaurant’s chefs have taken some creative turns, added fresh, local ingredients and offer up a menu that you have to taste to believe. What better way to spend Mother’s Day? 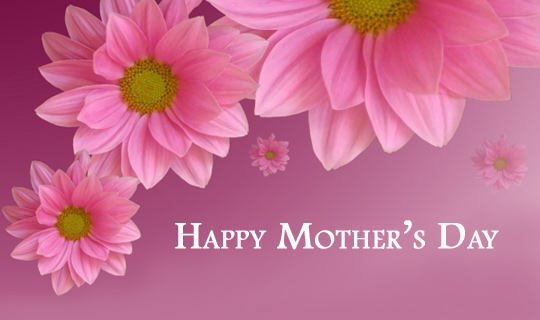 We hear they have some secret plans to make the day truly wonderful for Mom. 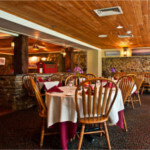 The Essex Resort & Spa in the Burlington (Essex Junction), Vermont area is well-known as a culinary resort. Mother’s Day brunch at the Essex will not disappoint. The fixed price brunch buffet includes breakfast favorites and fresh-made omelets as well as carving station entrees of prime rib, ham, and salmon. Dessert includes a selection of scrumptious pastries and also features a chocolate fountain. Don’t be shut out. Make reservations early. For a truly memorable day, consider brunch at Basin Harbor in Vergennes. With magnificent lake views, delicious food, and live jazz from Jenni Johnson, it will be a day Mom will long remember. Reservations are required. 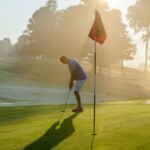 Call the sitter and take “Mom” for a day of golf. Why not head to the course at Stratton Mountain Resort in Bondville, Vermont? The course offers 27 holes of varied terrain at the foot of Stratton Mountain. What a perfect setting to enjoy a day outdoors in the clear, clean Vermont air with magnificent scenery at every turn. Or, explore the culture and history of Vermont. 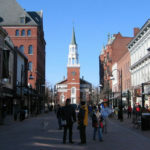 Stroll through historic Bennington and take in the fascinating Grandma Moses paintings at the Bennington Museum or head to the Southern Vermont Art Center in Manchester for the latest exhibits. 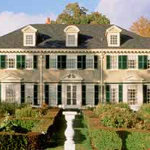 While in Manchester, a visit to Hildene, Robert Lincoln’s family home, is a must. A visit to Woodstock, a picture-perfect Vermont village, can include browsing art galleries or visiting nearby Simon Pearce to see traditional glass-blowing techniques applied to modern glassware. 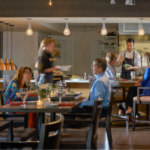 Bennington, Manchester, and Woodstock also offer terrific shopping opportunities and plenty of places to grab a bite when you need to refuel. Consider the Stoweflake Mountain Resort & Spa in Stowe, Vermont. The Spa at Stoweflake offers 30 luxurious treatment rooms and over 120 signature healing and anti-aging remedies for mind, body, and soul. Why not stay the whole weekend? 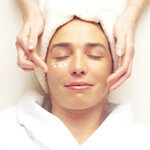 There are even discounts on spa day packages with lunch or dinner included. Or try The Essex Resort & Spa in Essex Junction, Vermont for a spa experience which will relax and renew your special mom. Whatever the stresses in her life, you’ll be her hero for giving her this chance to unwind. With choices of massage, body and facial treatments as well as comprehensive salon services, who wouldn’t feel pampered and very special? 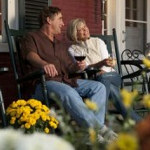 Pack your bags and get away to The Green Mountain Inn in Stowe for a relaxing weekend to make Mom feel really special. Choose the Relaxation Getaway Package for special pricing on two night’s lodging, daily breakfast, two 60 minute relaxation massages (at Stowe Village Massage) and a fresh fruit and cheese platter. For a weekend that is more cosmopolitan, consider the Comfort Inn & Suites in Burlington which puts you within easy access of all Burlington has to offer… shopping at Church Street Marketplace, strolling along a waterfront park (Burlington is right on the shores of Lake Champlain), or choosing someplace to eat from family restaurants to chic bistros. Forget those run-of-the-mill department store gifts. This year give a gift that is uniquely Vermont. 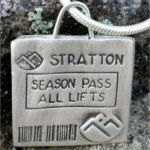 Consider a silver charm in the shape of a Vermont ski lift ticket from Izadorable or amazing made-in-Vermont jewelry available. Hawkins House in Bennington has a wonderful selection of hand-made jewelry, pottery, glassware, and more. Why not let Mom pick out her own gift? This entry was posted in Activities, Burlington, Eat & Drink, Food, Now Trending, Stay, Things To Do on May 8, 2017 by Linda Warner. Are You Ready for Mother’s Day This Year? Make Mother’s Day Special This Year Plan Your Vermont Getaway Today for Spring or Summer Bolton Valley Has Plenty of Snow. Plan Your Getaway Now!